Please mark your calendars for the last HCI@UBC lunch forum of the Winter 1 term featuring Professor Izak Benbasat from the UBC Sauder School of Business. Food will be provided. Please spread the word among your colleagues, students, lab mates. Given that an ecommerce web site is a company’s “window to the world”, customers interact directly with a number of information technology artifacts provided by the company (such as, product recommendation software, videos for product presentations) as well as entities within that company (such as, sales assistants) and other customers (such as, collaborative shopping) via information technology mediated channels. HCI design and evaluation in this specific context have two major components: 1) the first resembles traditional HCI work in that a customer has to interact with a computer interface to reach the online company, and 2) the second is about communication between the customer and the company that is necessary for trading to occur. The first type of interaction is designed to enhance customers’ efficiency, effectiveness and shopping enjoyment by providing high quality information technology-based services, and the second type of interaction, or more correctly communication, is intended to improve customers’ trust in online merchants, reduce their perceived risks of buying on the web, and increase their loyalty to web merchants and commitment to online shopping. Benbasat has conducted over 20 studies with colleagues and graduate students over the last decade investigating a wide range of topics that included: how to improve product understanding on the web; how to provide services to customers via IT support; improving customers’ purchase quality via recommendation agent use, designing product recommendations agents that are trustworthy, and designing social interfaces to such agents; collaborative shopping; and reducing risk and deception in electronic commerce. The talk will provide a brief summary of these studies and their findings, and describe their practical implications for HCI designers and users of electronic commerce for improving the online shopping experiences of customers. Izak Benbasat is a Fellow of the Royal Society of Canada and Canada Research Chair in Information Technology Management at the Sauder School of Business, University of British Columbia. 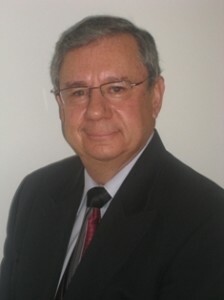 He received the LEO Award for Lifetime Exceptional Achievements in Information Systems from the Association for Information Systems in 2007, and was conferred the title of Distinguished Fellow by the Institute for Operations Research and Management Sciences (INFORMS) Information Systems Society in 2009. He was awarded the UBC Killam Research Prize in 1998 and the Killam Teaching Prize in 1996.